This article originally appeared in the Napa Valley Register (October 9, 2015). Ask any winemaker and they will tell you that wine is made in the vineyard. It is not possible to make good wine from bad grapes. And, vineyards are not stagnant, offering variety. So, whether you own a vineyard or purchase fruit from a grower, winemakers are very careful in selecting their vineyards. Case in point, Larner Vineyard, situated in Ballard Canyon in Santa Ynez. Ballard Canyon is located between Santa Ynez Mountains, a transverse mountain range, to the south and the San Rafael Mountains, created by the San Andreas Fault, to the north. 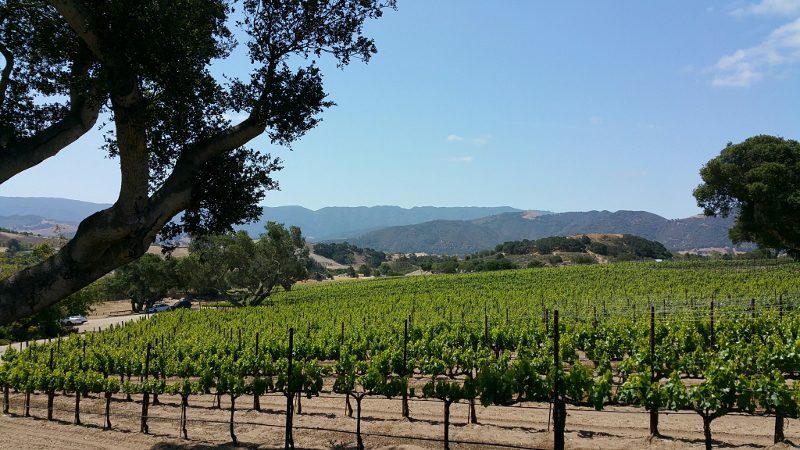 Ballard Canyon is in the heart of the Santa Ynez Valley and is the home to 17 vineyards and six producers. The Pacific Ocean is 17 miles to the west and fog comes in and burns off by 11:30 a.m. By 12:30 p.m. there is a cool breeze from the Pacific Ocean. 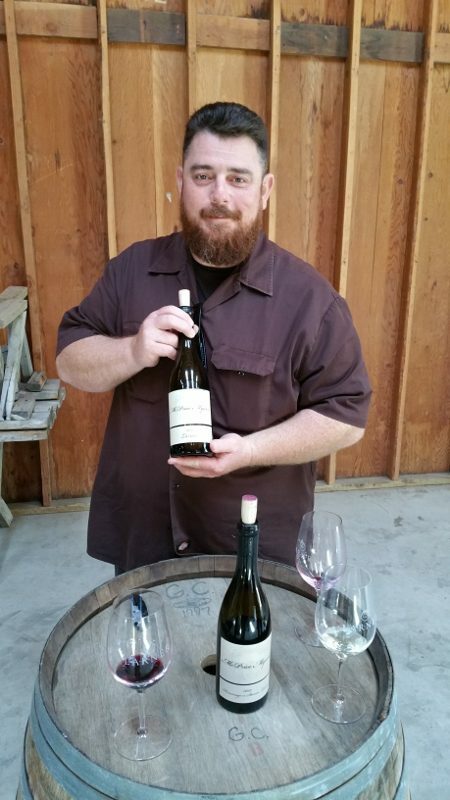 Specializing in Rhone varietals, Ballard Canyon became an AVA in October 2013. Of the 600 acres planted, 300 of the acres are planted to Syrah. Larner Vineyard was planted in 1999 by founding family members Stevan, Christine, Monica and Michael Larner. Sitting at an elevation of 500-680 feet above sea level, the property is a total of 134 acres with 34 acres planted and 30-40 acres still to plant. The varietals planted are Syrah (23 acres), grenache (6 acres), viognier (2.5 acres), mourvedre (2 acres) and malvasia bianca (1.4 acres). The Larner Vineyard has transitioned from sustainable to organic and is in the process of being certified. In Larner Vineyard, the soils are diverse from block to block. There are blocks with boulders and rocks on top of chalk, other blocks with sand on top of chalk, and another block that is pure beach sand. Larner Vineyard is also 2 degrees cooler than its neighbors because it is at the foothills of Purisima Mountain and gets a breeze that crosses the vineyard. Larner also planted different clones and rootstock, allowing diverse expressions within the same terroir. In fact, there are 11 expressions of Syrah in the vineyard. Larner sells 80 percent of its fruit to 23 clients. Each client gets approximately 1 acre, based on per-acre agreements. This allows the clients to manage their rows as they like. A recent visit to the vineyard included a tasting of wines from seven producers working with Larner Vineyard – Larner, Casa Dumetz, Kaena, Kunin, Paul Lato, McPrice Meyers and Herman Story. The wines have different styles, and the winemakers approach their Larner Vineyard Syrah or grenache in their own way. But, according to Michael Larner, no matter the ripeness levels, “the signature of the vineyard is minerality.” And, across the board, the quality of the vineyard is reflected in each producer’s wine. “We were first Larner Vineyard. So for me, it starts in the vineyard, it starts in the soil, it starts in the land, it starts in the territory,” Michael explained. 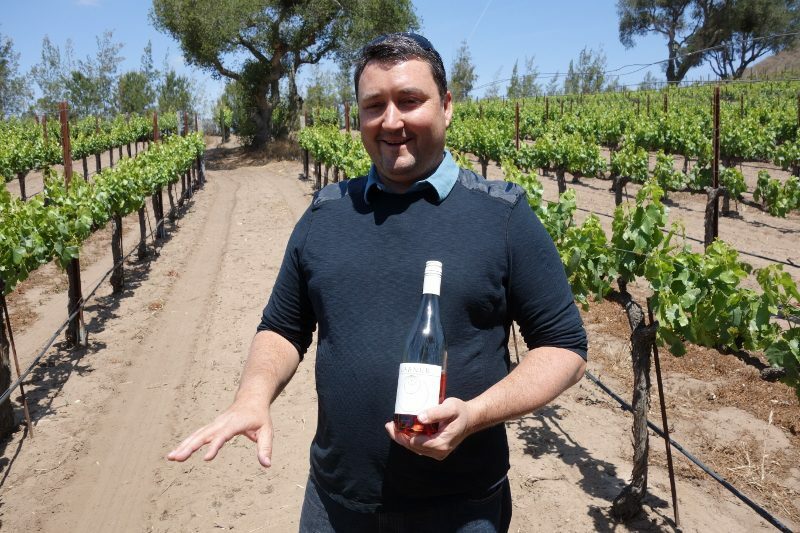 Larner makes 1,200 cases under its own label — malvasia bianca, rose (55 percent Syrah, 35 percent grenache, 10 percent mourvedre), grenache, Syrah and reserve Syrah. With 11 clones of Syrah, Michael ferments them separately and then blends them together, resulting in a complex wine with lovely spice. Winemaker Sonja Magdevski at Casa Dumetz got her first ton of Larner grenache in 2012. Her grenache was grown in sand, resulting in a wine with pretty aromatics. It is a clean and elegant wine with earthy characteristics. 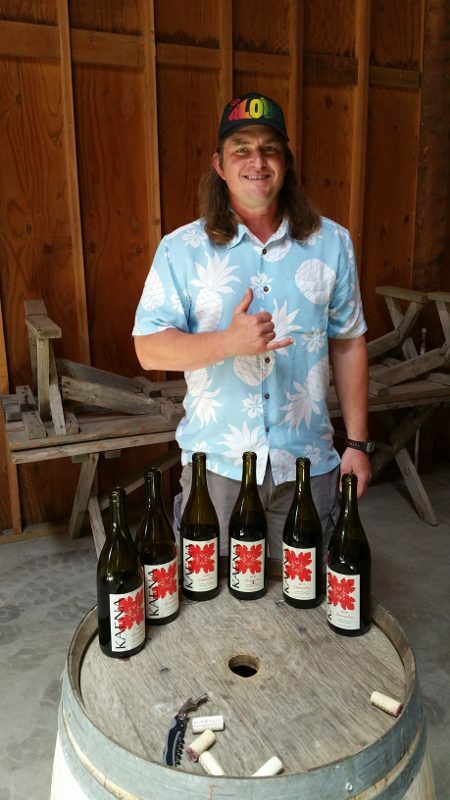 Mikael Siquoin from Kaena Wines had been buying Syrah from Larner Vineyard until they accidentally sold his Syrah in 2003. As a result, Siquoin, known as the “Grenache King,” was able to get the highly allocated grenache in 2004 and has been working with it ever since, making approximately 125 cases each year. Paul Lato comes from Poland, and worked as a sommelier in Toronto. 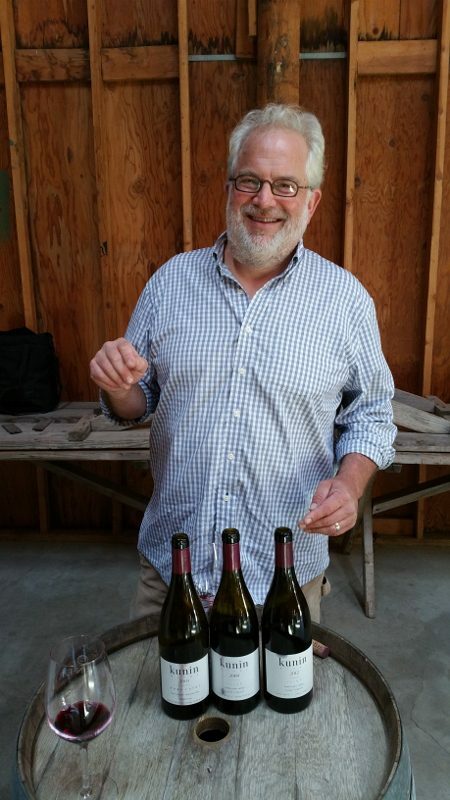 Wanting to be a winemaker, he came to Santa Barbara in 2001 and started making wine in 2002. His first vintage of Paul Lato Wines with Larner fruit was in 2005. 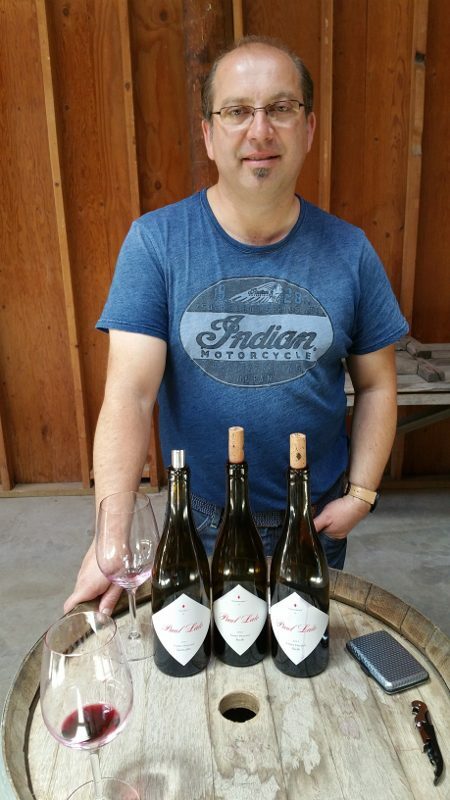 Lato loves the beauty of the Larner Vineyards where he gets American voluptuousness with European sensitivity, “the best of both worlds.” Lato makes 250 cases from Larner and honors Michael’s late father, Stevan, with his Cinematique Syrah. The first vineyard McPrice Myers ever made wine from was Larner Vineyard in 2002. Focused on Rhone varietals, McPrice Myers is now based in Paso Robles and continues to make grenache and Syrah from Larner. McPrice loves the sandy soil and that the vineyard faces southwest with good exposure, resulting in wine with high acidity and good ph. His Hommage a Stevan Larner was first made in 2006 to honor Stevan but the 2012 marks his 10-year anniversary working with the vineyard. Russell From started Herman Story Wines, named after his grandfather from Missouri, in 2002, sharing a block with McPrice. He has made wine from the same section (a couple of acres of Syrah and 1.5 acres of grenache) since 2002 and loves the soil and the ages of the vines. He gets a brambly flavor, good body that is not too acidic but not racy, in his wines but also has wines that are more flavor-based, picking the grapes at optimal ripeness. 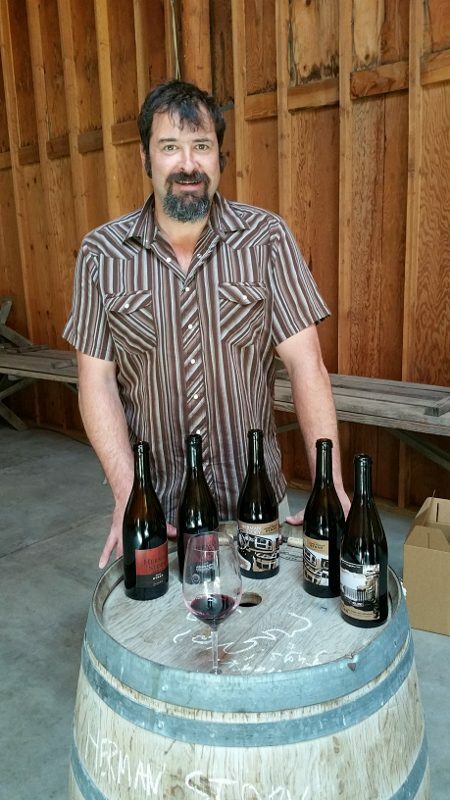 Each winemaker working with grapes from Larner Vineyard has their own expressions and styles. But, the quality of the grapes is what shines through in each bottle. This entry was posted in Wine and tagged Ballard Canyon, Casa Dumetz, Grenache, Herman Story, Kaena, Kunin, Larner Vineyard, Larner Wines, McPrice Meyers, Michael Larner, Napa Valley Register, Paul Lato, Santa Barbara, Santa Ynez, syrah, vineyard, Wine, wine styles, winemaking by Allison Levine. Love the breakdown of each winemaker’s story! Thank you much.